A delightful interpretation of Jane Austen’s early novella Lady Susan–a treat for fans of literature’s most beloved woman of letters, as well as historical fiction readers. Jane Austen’s novella Lady Susan was written during the same period in which she produced Elinor and Marianne. Like Elinor and Marianne, Lady Susan focused on the economic and romantic plights of two heroines displaced when the family home passes to an unworthy heir; but while Elinor and Marianne was revised and happily expanded to become Sense and Sensibility, Lady Susan was abandoned. Until now. 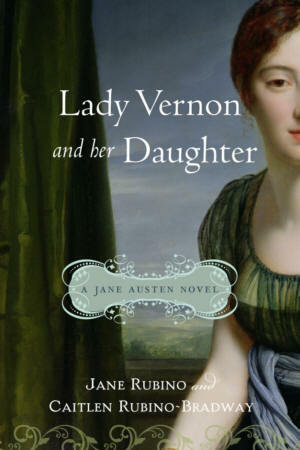 In Lady Susan and Her Daughter, Jane Rubino and Caitlen Rubino-Bradway have taken letters from this novella and transformed them into to a vivid, authentic, and more recognizably “Austen” milieu. Lady Susan and her daughter must navigate a society where a woman’s security is at the mercy of an entail, where love is hindered by misunderstanding, where marriage can never be entirely isolated from money, and yet romance somehow carries the day.